Dawn Edition £12.00. Night Edition £25.00. 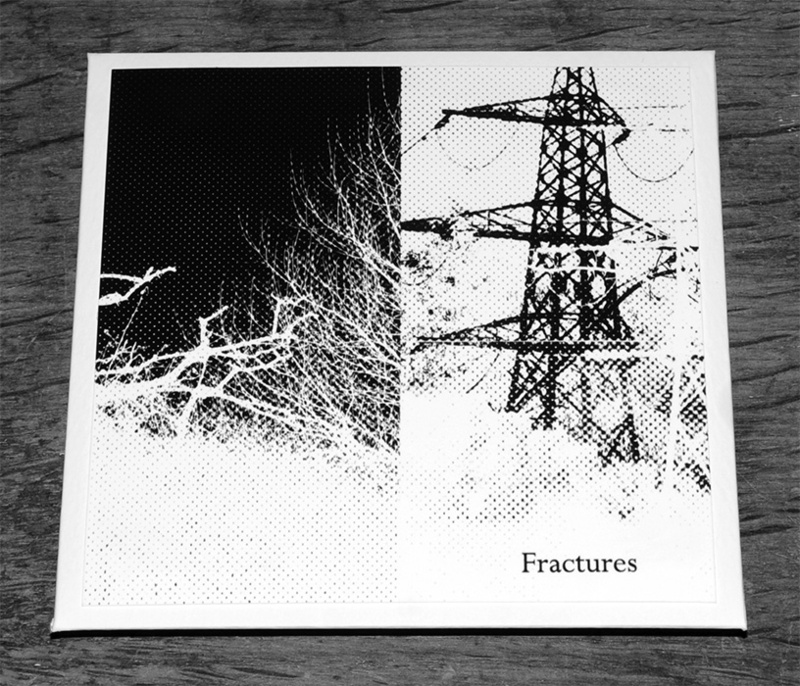 Fractures is a gathering of studies and explorations that take as their starting point the year 1973; a time when there appeared to be a schism in the fabric of things, a period of political, social, economic and industrial turmoil, when 1960s utopian ideals seemed to corrupt and turn inwards. 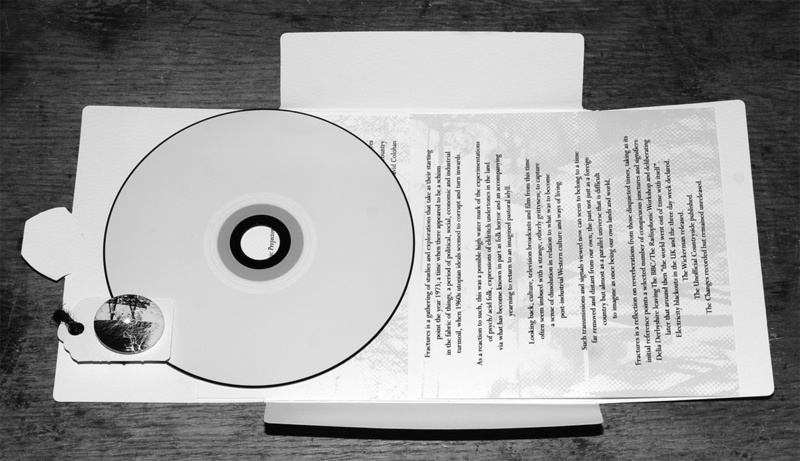 Audiological contents created by Circle/Temple, Sproatly Smith, Keith Seatman, Listening Center, The British Space Group, The Hare And The Moon ft Alaska/Michael Begg, Time Attendant, The Rowan Amber Mill, A Year In The Country and David Colohan. 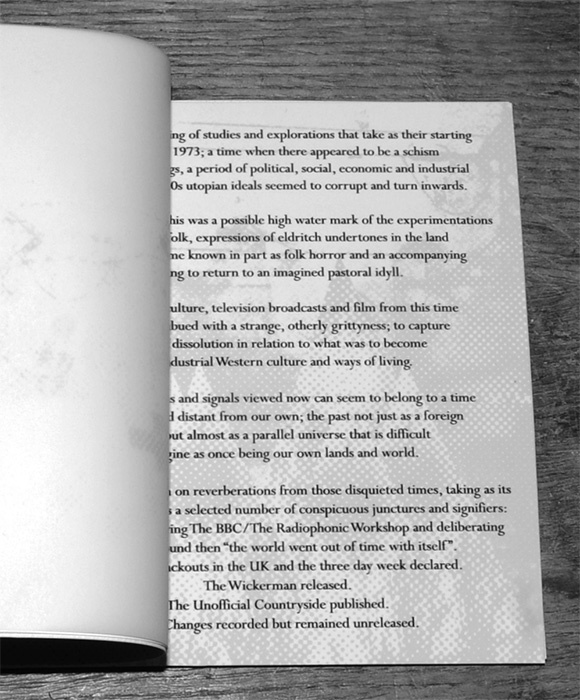 Both editions hand-finished and custom printed using archival Giclée pigment ink by A Year In The Country. Available via our Artifacts Shop, our Bandcamp Ether Victrola, Norman Records and The Ghost Box Records Guest Shop. Pre-order from today 30th May 2016. Release date 13th June 2016. Night Edition. Limited to 104 copies. £25.00. 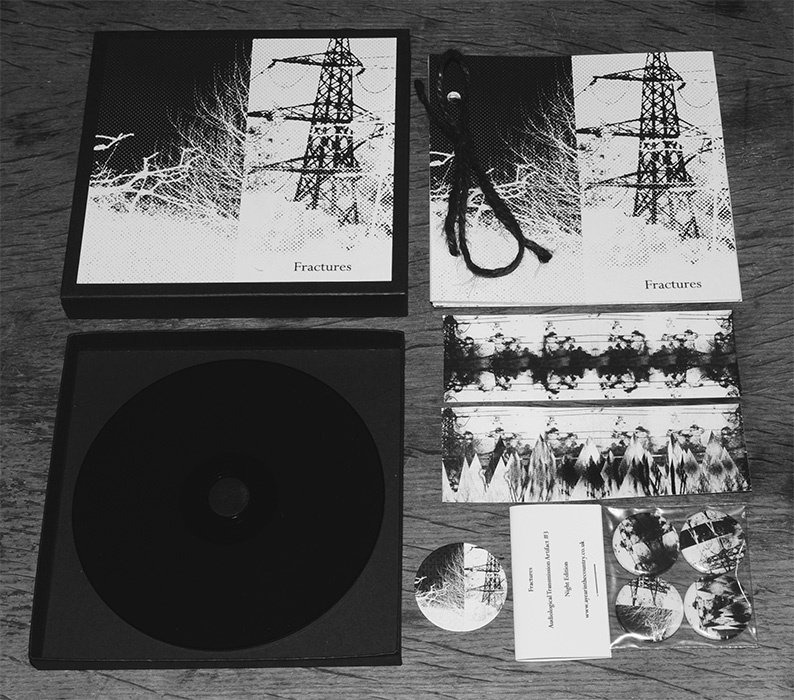 Hand-finished box-set contains: album on all black CDr, 12 page string bound booklet, print, 4 x badge pack and 2 x stickers. 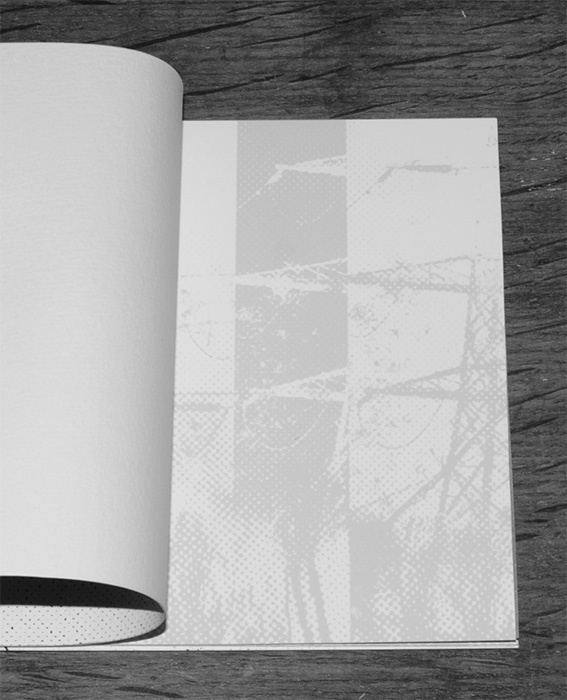 1) Booklet/cover art custom printed using archival Giclée pigment ink. 3) Fully black CDr (black on top, black on playable side). Printed on textured fine art cotton rag paper, heavy card and semi-transparent vellum. Hand numbered on the reverse. 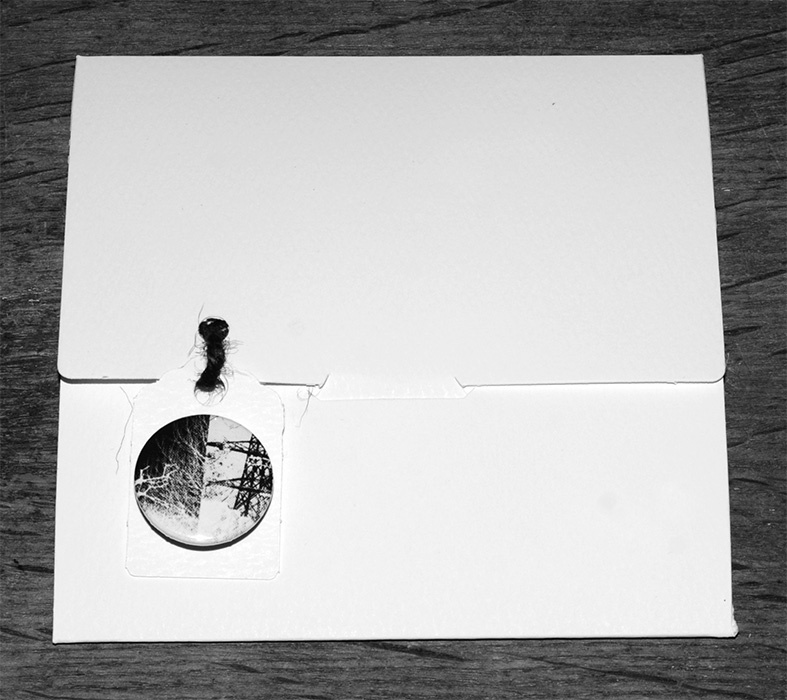 5) 4 x badge set, contained in a see-through polythene bag with a folded card header. 6) 2 x vinyl style stickers. 7) Print on textured fine art cotton rag paper; numbered on the reverse, selected from one of 7 designs. Dawn Edition. Limited to 104 copies. £12.00. 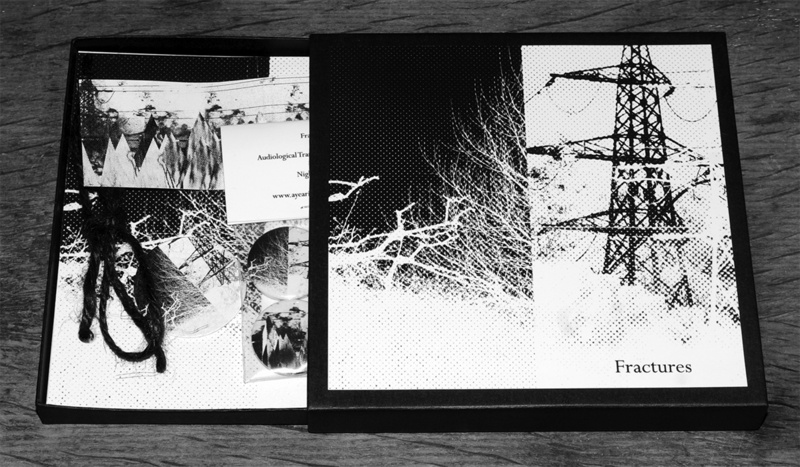 Hand-finished white/black CDr album in textured recycled fold out sleeve with inserts and badge. 2) Includes 25mm/1″ badge, secured with removable glue on string bound tag. 3) Back of one insert hand numbered. As a reaction to such, this was a possible high water mark of the experimentations of psych/acid folk, expressions of eldritch undertones in the land via what has become known in part as folk horror and an accompanying yearning to return to an imagined pastoral idyll. Looking back, culture, television broadcasts and film from this time often seem imbued with a strange, otherly grittyness; to capture a sense of dissolution in relation to what was to become post-industrial Western culture and ways of living. Such transmissions and signals viewed now can seem to belong to a time far removed and distant from our own; the past not just as a foreign country but almost as a parallel universe that is difficult to imagine as once being our own lands and world. 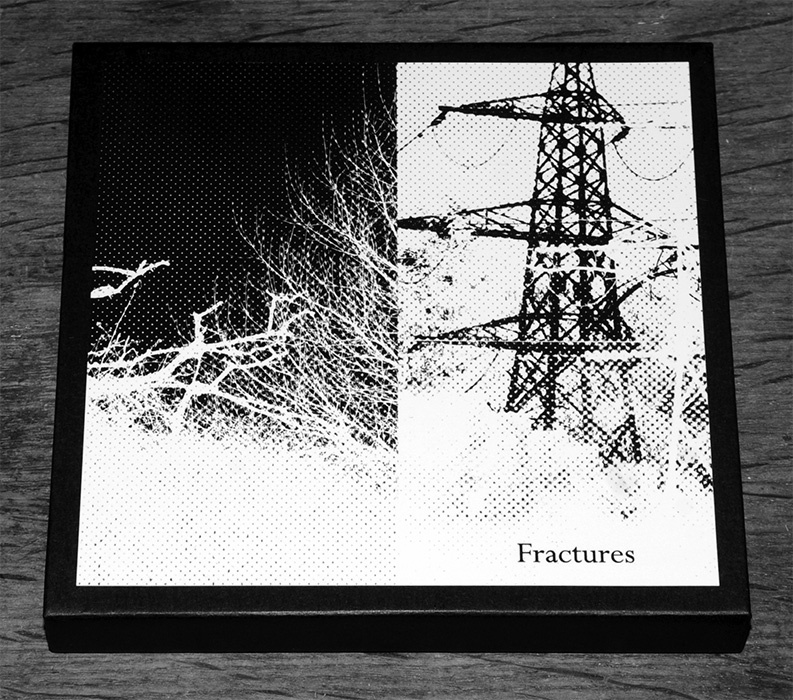 Fractures is a reflection on reverberations from those disquieted times, taking as its initial reference points a selected number of conspicuous junctures and signifiers: Delia Derbyshire leaving The BBC/The Radiophonic Workshop and reflecting later that around then “the world went out of time with itself”. Electricity blackouts in the UK and the three day week declared. The Wickerman released. The Changes recorded but remained unreleased. The Unofficial Countryside published. The Spirit Of Dark And Lonely Water released. Artwork and encasement design by AYITC Ocular Signals Department.